The Research Writing Group Kit, developed by Study and Learning Centre staff, is a fabulous tool for anyone writing research who would like to learn how to establish and run a writing group. Learn how to set up, maintain, facilitate and coordinate a group. Judy Maxwell describes the kit and how the Study and Learning Centre provides help to doctoral students, researchers and supervisors wishing to establish writing groups. The benefits of research writing groups (RWGs) are well-documented. They can enhance research students’ conceptual knowledge and their ability to communicate this effectively through their research writing (Aitchison, 2009; Aitchison & Guerin, 2014). Kamler and Thomson (2006) remind us that research writing is not only about engaging in textual practices; it is as much about developing scholarly identity as a researcher. RWGs effectively contribute to this by encouraging group members to explain their research and share their research writing with others, and this builds confidence and authority in their work. The Study and Learning Centre facilitated RWGs across the university for many years, but the number of groups grew, and some existing groups became too large to allow all members to have their text discussed. Clearly, we needed a more sustainable approach in terms of staffing. Our solution was to develop the Research Writing Group Kit that would support peer facilitation of RWGs. 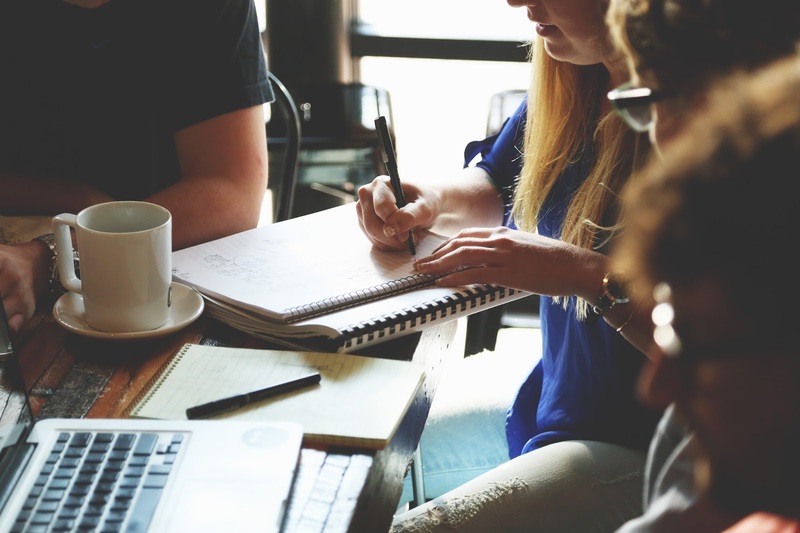 The Research Writing Group Kit is a set of online tools for anyone writing research (including research candidates, early career researchers and supervisors) that would like to take part in a writing group. The kit provides information about setting up and maintaining a group; the role of the facilitator; guidelines for coordination and operation; routines and activities for effective writing production; and key research writing issues. A Handbook for Facilitators of RWGs. This includes sections on coordinating groups, managing group dynamics, and a set of trouble-shooting FAQs. It also has a set of templates for a variety of purposes, e.g. a procedures agreement, a contacts list, rights and responsibilities, a needs analysis and an evaluation form. Not all groups use all of these; some run in a more informal way, but they’re there if needed. The Handbook also includes a section on various writing group approaches, ideas for networking and other sources of support. A PowerPoint Presentation to use at the first session of a RWG to generate discussion of issues such as what to expect, what the group won’t do (e.g. it isn’t a proofreading service), and the benefits of a RWG. It also facilitates discussion around ‘housekeeping’ issues such as how often the group will meet, location, how communication will take place, etc. A PDF document for developing textual analysis skills to assist in critiquing research writing texts. Additional PDF resources for 14 writing group activities. Of course, it's all very well to develop resources, but often the difficulty is getting uptake. In this case, we developed a flier that we email to all supervisors at the beginning of each year, encouraging them to pass on this information to their research students and to consider facilitating groups of their own research students. We make personal contact with the higher degree research student coordinators in each School and supervisors with whom we’ve worked closely. All research students who have attended workshops or had individual appointments with us the previous year are emailed the flier, and we run a workshop as part of a series of workshops run by the School of Graduate Research: The ‘why’ and ‘how’ of setting up and running a research writing group. Any students or supervisors who express interest are asked to contact me. This results in varying numbers of new, interested students each year. In most cases, new groups are established along disciplinary lines, although some students express a preference for multidisciplinary groups, which we try to accommodate. If we find only one or two potential new group members in a School that already has one or two group, we negotiate with existing group members to see if they're happy to have new members. Our involvement with all groups is to attend the first and second sessions and then ‘dip in’ when needed. At the first session, we help the group identify a facilitator (pointing out that this isn’t an onerous job and that it can rotate around the group members) and facilitate decisions around frequency of meetings, the location, and how much text should be submitted. At the second session (and a third, if requested), we model the critiquing process with students’ texts by sharing strategies for ‘noticing’ elements of research writing. At the end of this session, we encourage reflection on the process and discuss any issues coming out of this. We also maintain regular contact with the peer facilitator and offer ongoing support. On a few occasions when a group is in danger of disbanding, the facilitator has asked us back. On these occasions we discuss the purpose and benefits of RWGs again and focus on the specific issues the group has, and we’re often able to keep it together. Occasionally this doesn’t work. Sometimes there are unresolvable group dynamic problems, or perhaps the group doesn’t match the expectations. We also offer to run mini-workshops on any areas of research writing the group is struggling with, e.g. they might want to discuss various cohesive strategies, or ‘moves’ in abstracts. We find that, in general, groups seem to run well with peer facilitation. We encourage supervisors to pop into groups and this does occasionally happen. Currently, we have two groups that are facilitated by supervisors. We also have some groups with a mixture of research students and early career researchers. Groups often don’t have stable membership; as students become more involved in their research, they’re not writing as much (or at all) so they’ll drop out for a few weeks or months and come back when they’re getting back into the writing. Some groups fold within a few weeks, others stay together for a year or so. However, others have run for much longer, with new members gradually replacing those who graduate. It’s probably no surprise that the groups that tend to stay together longer are those with supervisor or early career researcher involvement. In the last five years since our research writing group kit was developed, the number of writing groups has increased each year. This year we have around ten groups. Although that doesn’t seem like many, it’s certainly more than we managed to directly facilitate before the kit was developed, and we strive each year to increase this. To obtain the kit please email Judy Maxwell. Aitchison, C. (2009). Writing groups for doctoral education. Studies in Higher Education, 34/8, 905-916. Aitchison, C. & Guerin, C. (Eds.) (2014). Writing Groups for Doctoral Education and Beyond: Innovations in Practice and Theory. London: Routledge. Kamler & Thomson (2006). Helping doctoral students write: Pedagogies for supervision. Milton Park: Routledge.